At MOXI HA Services we provide a wide range of hazardous area expertise. As experts in the field of hazardous area standards our highly trained professionals are qualified to perform a host of services, all designed to help you comply with the appropriate equipment standards including the AS/NZS 60079 series, the IEC 60079 series & other Australian and International Standards. Hazardous area standards are complex, so when you need assistance interpreting and applying these standards to your equipment or installation site contact MOXI HA Services. An experienced hazardous area auditor must have a detailed understanding of the relevant Australian standards, acts and regulations. At MOXI HA Services our hazardous area installation auditors and electrical engineers have extensive knowledge of all the specific design and installation requirements for electrical installations within hazardous areas. 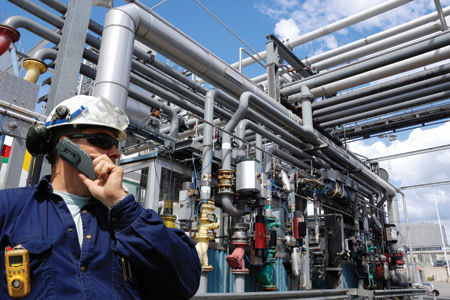 We are accredited in the design, classification, inspection and maintenance of electrical equipment in hazardous areas, so whatever your needs our hazardous area installation auditors come armed with the right experience and competency, backed by the infrastructure to support you, the client. A new plant or a plant review aimed at reducing zoning or for modification of an existing facility, our skilled, competent EEHA experts provide cost-effective Hazardous Area Classifications for your business. MOXI HA Services will provide you with delineation drawings, classification reports and supporting documentation that ensures your site demonstrates compliance with AS/NZS 60079 Standards. When classifying explosive gas atmospheres, MOXI HA Services are able to provide assistance in applying the principles of AS/NZS 60079.10.1 for site classification to ensure the appropriate apparatus is selected. This standard includes the Australian examples previously given in the AS/NZS 2430.3 series and also accepts the use of other industry standards, such as API RP505 and IP15. For areas where the hazard is an explosive dust atmosphere, MOXI HA Services compliance engineers are able to provide the best available advice on the application of the current AS/NZS 60079.10.2 classification requirements. Hazardous area classification is required for a range of potentially hazardous areas such as LNG, Gas, Oil, Mining, aircraft hangars, petrol stations, paint-finishing locations or flour mills, the list goes on.